Janet is one of the best Realtors we have had the pleasure to work with. 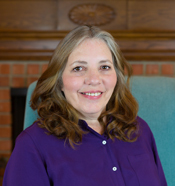 She is able to navigate the home buying and selling process in a very strategic and professional manner. We had the pleasure of buying and selling our home through Janet. Janet provided very insightful and high value suggestions and advice that were instrumental in both our purchase and sale. The unique strength that Janet brings to the business is that she is able to perform under scenarios of very difficult negotiations. Her assistance with attending to repairs prior to sale is outstanding. She has great interpersonal skills. Overall we rate her very highly.